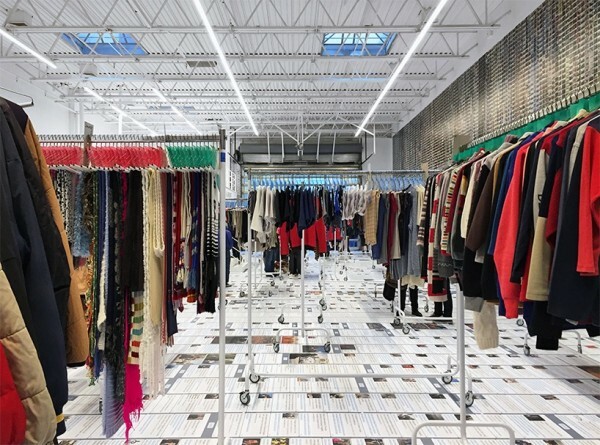 Currently at Deitch Projects in New York through December 23rd, Ai Weiwei has an immersive installation on view entitled Laundromat. 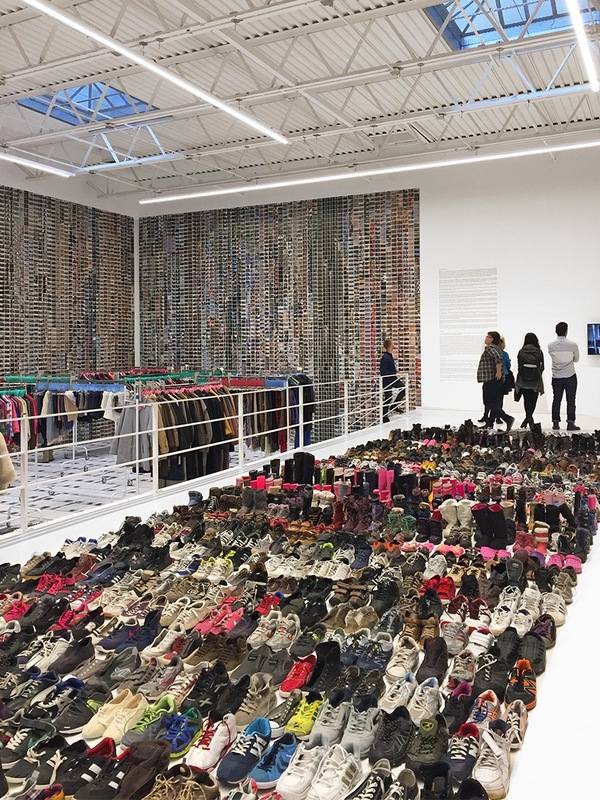 Continuing to address the refugee crisis in Europe, the Chinese artist (once a refugee himself) has filled the large space with garments, shoes, and personal effects that he acquired from the refugee camps housing Syrian immigrants near the border of Greece, along with snippets of media coverage and photos he took. 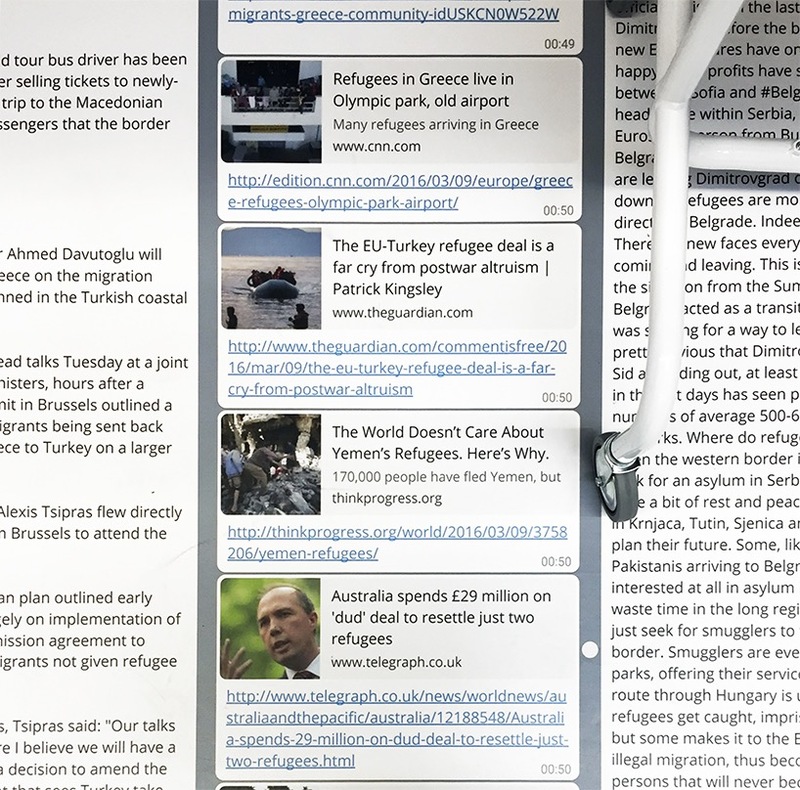 The wet and soiled items were left behind in Idomeni as the refugees moved on, at which time the dissident artist intercepted the trucks that were taking the items to landfills. 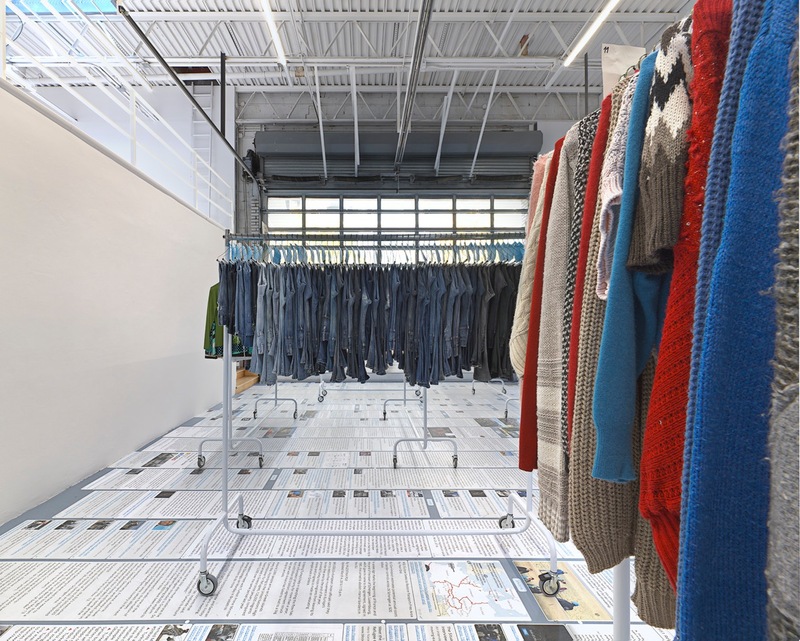 He then carefully cleaned, washed, dried, and ironed them in his studio in Berlin – much like a laundromat. 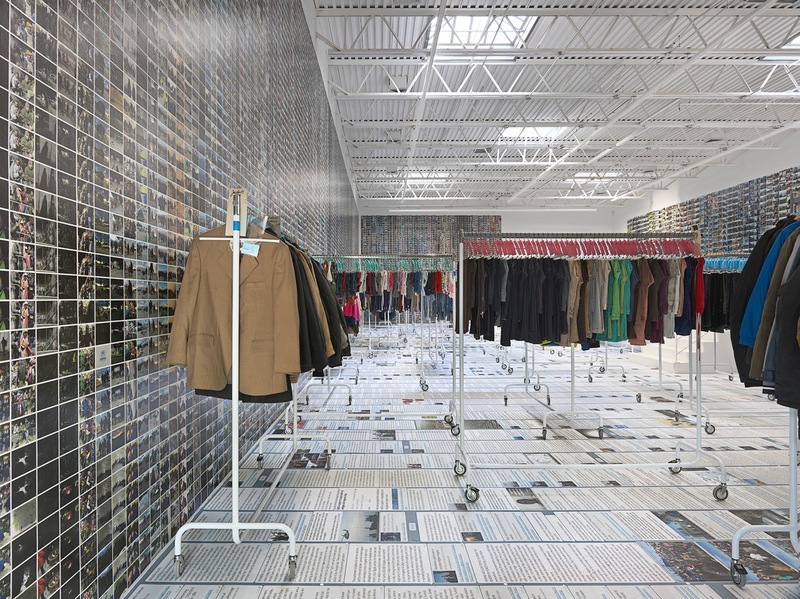 Like his previous installations in Florence (life rafts), Prague (thermal blankets), Berlin (life vests), and Vienna (also life vests), what AWW created serves as a chilling record of a point in history and attempts to bring more attention to the humanitarian crisis still unfolding in Europe and the Middle East. 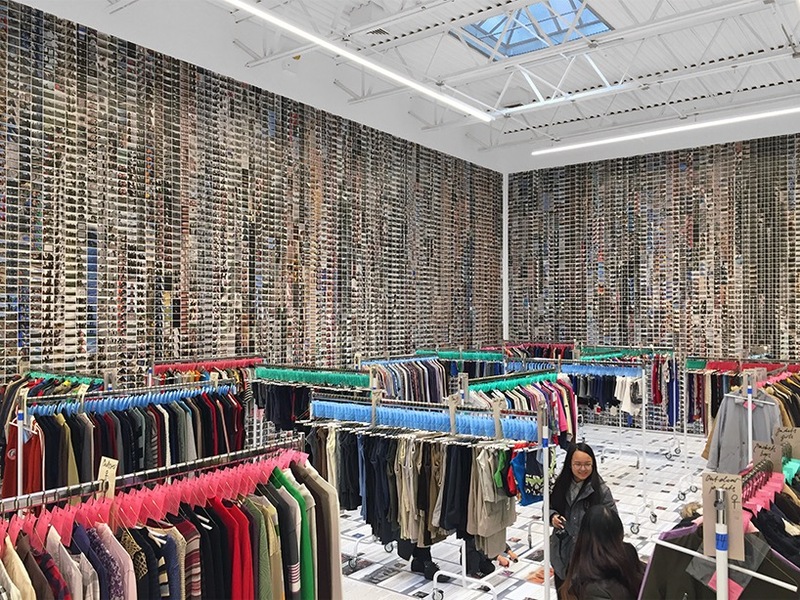 Learn more about the exhibition in an interview here, and also look out for coverage of the three other concurrent shows from Ai Weiwei in New York at Lisson’s Chelsea space under the High Line and Mary Boone’s two spaces, on Fifth Avenue in Midtown and in Chelsea. Photos via Designboom & the gallery. 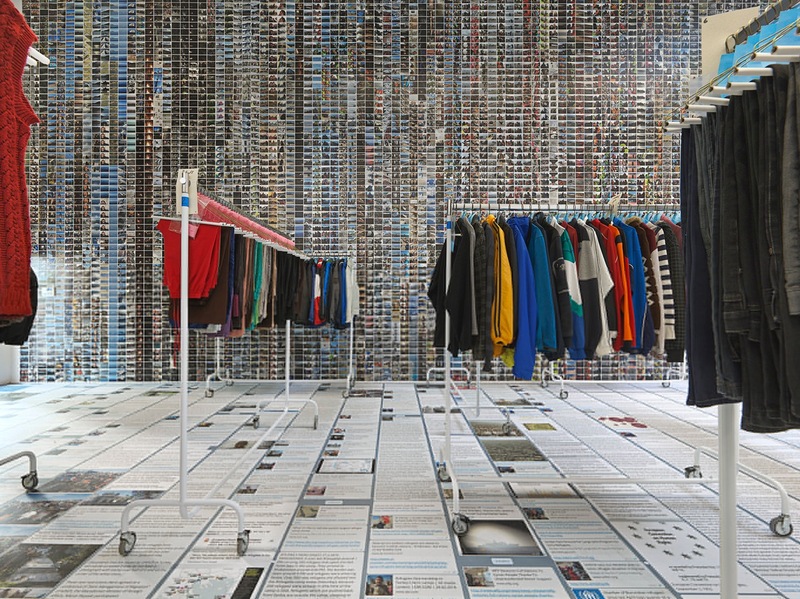 Categories: Contemporary Art, Installation, Photography, Shows & Events. 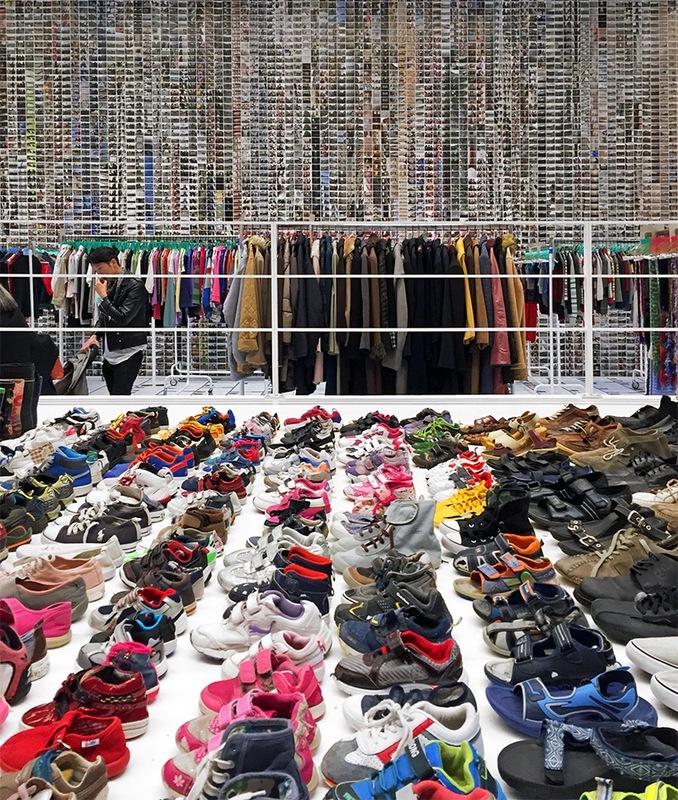 Tags: Ai Weiwei, Contemporary Art, featured, Installation, New York, Photography, Shows & Events, slider-featured.